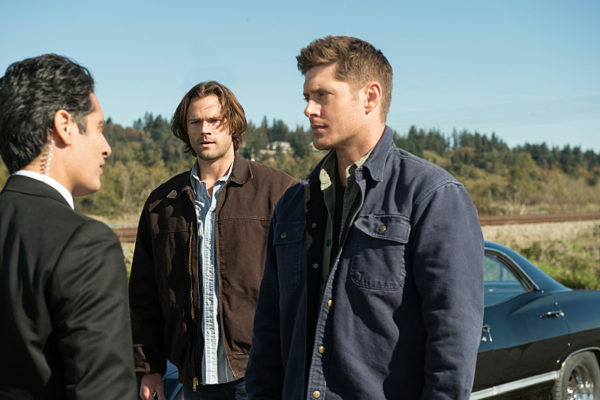 With this season’s mid-season finale, we got an interesting bit of information that might lead into another storyline for the latter half of the season and a potential roadblock that might stop the Winchesters for at least an episode or two. 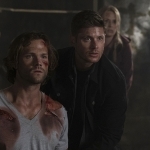 I am hoping two certain someones help out with resolving the mess Dean and Sam have gotten themselves into. While we got a lot of progression forward, and some potential issues to be dealt with when we return from hiatus, I think there was a bit too much crammed into a single episode. Everything we learned, all the possessions and information, could have easily been spread out into at least two episodes or more. That way, we could have gotten more time to spend on specific possessions and what the implications were. For one, I wanted to see more of the possessed archbishop. I found his control of the church, how he was able to turn the crosses upside down and cause such devastation to the priests and nuns, to be interesting. Just think of what might have happened should he have been able to lead a congregation. Lucifer could have convinced a legion of human followers to do his work in the name of God. Such power, such potential, but alas, it was not meant to be. It was interesting that Lucifer was trying to hop from one powerful figure to the next — rock star, business guru, archbishop, and finally the President. He’s moving up in the world. 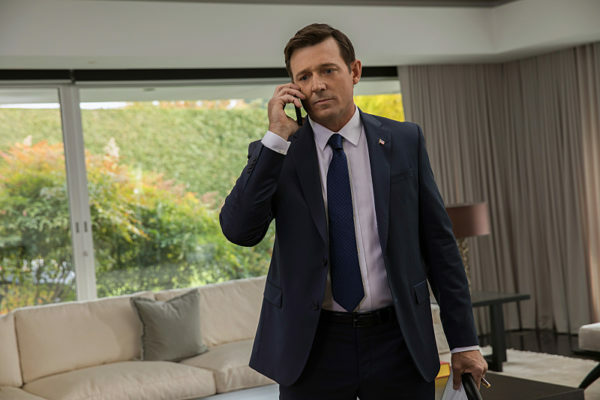 Though, again, the power he gained from possessing the President was lost in the quickness of the event, along with the confined nature of the setting. Sure, he was able to procreate, and that might cause a lot more destruction than any political acts, but we had to potential to see him cause tremendous damage before the vessel was used up or released. He was the President, leader of the free world. Nuclear war, attacks on other countries, changes to society stateside were all within his reach. As were the airwaves, since a speech could inspire a whole population to take action in Lucifer’s name. None of those came to pass. Instead, the President’s possession was a one-episode event and we’re done. 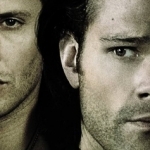 The only saving grace to this quick in and out was that Lucifer managed to procreate. I’m still not sure how Kelly knew she was pregnant that fast, but she is and it’s Lucifer’s baby. Now we have to ponder what will become of them. If the baby is allowed to be born, there will be danger to the world and everyone in it. But Kelly doesn’t want to kill it because it is her child, whatever its parentage. How is that going to be resolved? 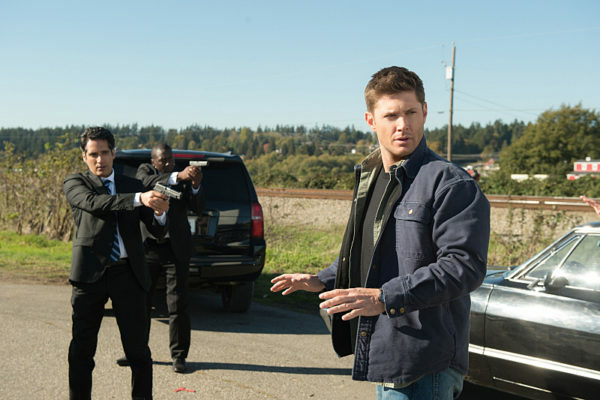 And then we have Dean and Sam’s arrest after staying around too long after the President’s possession. I still don’t understand why they were that careless. When the President’s passed out on the floor, and you’ve confirmed he’s still alive, you don’t stay around to wait for the Secret Service to bust in and arrest you. And if you do, you’re not going to be headed to any sort of typical prison. Now Rick’s in charge of their fates and he’s getting them off the grid entirely to play out whatever torturous plans might be in his head. I doubt the boys will be able to save themselves without some outside help, so it’s up to Mary and perhaps Mr. Ketch to get them out. Oh, how I hope Mr. Ketch is involved. He’s got style and interesting gadgets. Lots of potential exploration left with his character. So, overall, I felt like we rushed through a lot of events that could have gotten a more in-depth look. And we know the boys will get out of jail somehow. The only real cliffhanger is the baby, but even that doesn’t seem immediately pressing. It’s a wait and see game for everything. Somehow, the month and a half hiatus won’t seem so daunting.